Drawing inspiration from luxury travel, this Special Edition Surf from Silver Cross is truly exquisite. 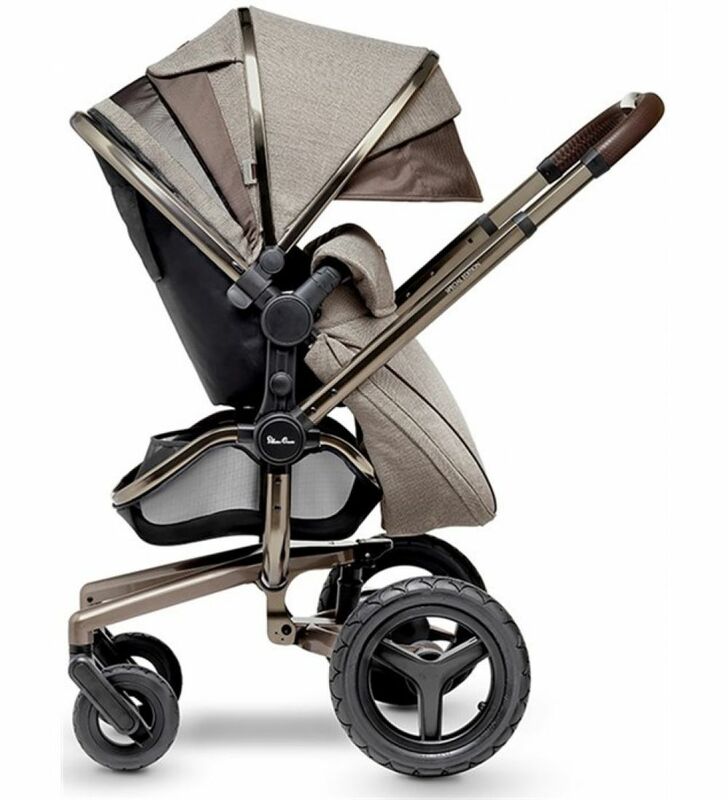 Created from unique woven fabrics, a highly polished bronze chassis, and a stunning cocoa leatherette handle bar, the Silver Cross Expedition is a beautifully elegant 3-in-1 travel system. The inclusive carrycot and pushchair seat help to create a pram, pushchair and travel system, whilst the luxury seat liner along with the matching changing bag add the perfect finishing touch. Designed to deliver a ride as exceptional as a traditional Silver Cross Stroller, the Silver Cross Surf boasts the excellent formula, combining comfort and convenience. 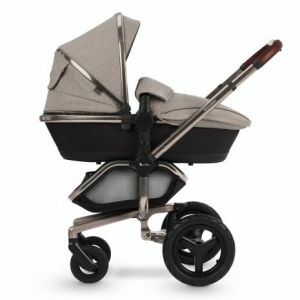 The Surf is suitable for use right from birth with the included carrycot, and due to the ventilated base the carrycot is also suitable for overnight sleeping. As baby grows you can then remove the carrycot and use the 3 position recline seat unit for your child up until they’re a toddler. With the use of a car seat (available to purchase separately) you are able to convert this pushchair into a versatile travel system making it even easier to transfer your baby from the car to the pushchair if they’re sleeping. The Surf features revolutionary air sprung suspension that creates a smooth and comfortable ride for your child over any terrain. If you’re thinking of heading over particularly rough terrains you are able to purchase the Silver Cross Jogger Wheel which will make the rider even smoother in these conditions. The large and durable 3 spoke wheels on the Surf 2 eliminate the worry of you receiving a puncture whilst out and about ever again as Silver Cross has introduced convenient puncture free tyres. Surf Chassis Weight: 7.5 kg. Surf Body Weight: 3.5 kg. Surf Dimensions Open: L 98 x W 58 x H 92-100 cm. Surf Dimensions Folded: L 71 x W 58 x H 28 cm.